LBSIMDS always believes in innovating the teaching pedagogy & thus from this session onwards we are introducing flipped classroom for the students. Flipped classroom concept is a new technique of teaching which is being practiced by very few premier institutes around the world & none in Lucknow. Flipped Learning is a pedagogical approach in which direct instruction moves from the group learning space to the individual learning space, and the resulting group space is transformed into a dynamic, interactive learning environment where the educator guides students as they apply concepts and engage creatively in the subject matter. 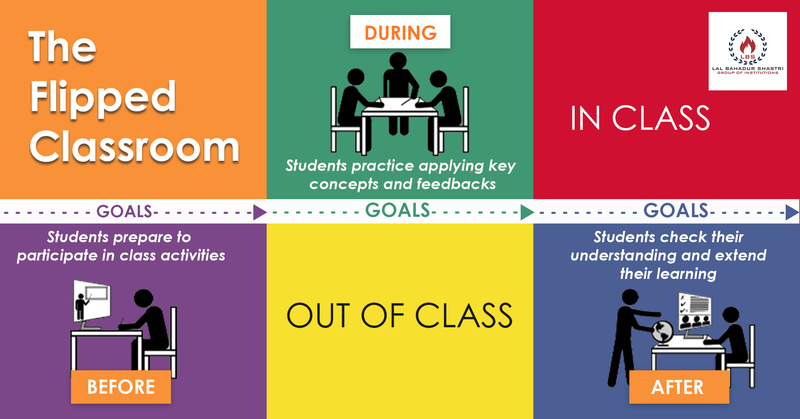 The rationale behind introduction of flipped classes is that as a result of students taking responsibility, interacting meaningfully with their faculty and peers, and getting and giving frequent feedback, they acquire a deeper understanding of the content and how to use it. The student role shifts from passive recipient to active constructor of knowledge.